Check Out The Before & After Photos Below! We will reply to all emails and voicemails upon our return. • Over 49,800 Treatments To Date! • Colorado’s Original Tattoo Removal Center! • DENVER’S LEADER IN TATTOO REMOVAL! INK-B-GONE is recognized as being the leader in Laser Tattoo Removal along the Front Range, completing over 49,800 treatments to date! 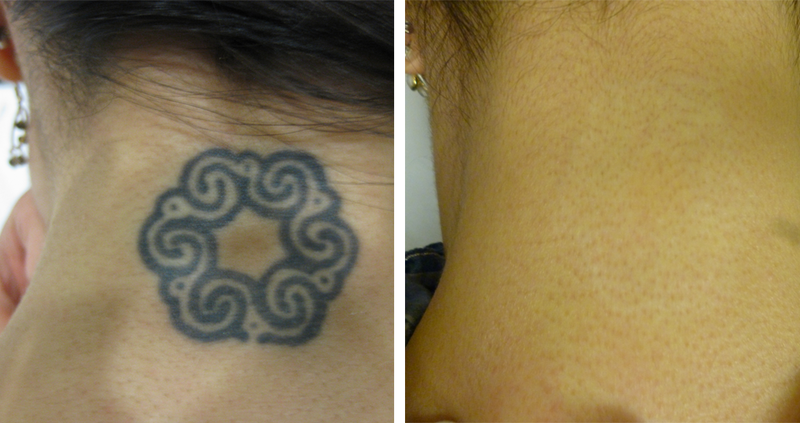 Our clients can be confident they are receiving services from the most experienced laser tattoo removal technicians in the U.S. We have treated over 12,100 clients, many of whom have more than one tattoo. Our expertise in laser tattoo removal has contributed to our recognition as leader in this industry by laser developers/manufacturers, dermatologists, award-winning tattoo artists, and every-day folks. We offer a 10% discount for Military, Law Enforcement, Fire Protection, and Minors (under 18). © 2019 Ink B Gone. All rights reserved.